Manage the money, solve the problem that created your cash flow crunch; borrowing your business out of trouble is NOT the answer. What makes you think you can manage the money that you borrow when you haven’t been able to manage the money that you’ve earned? I’ll say it again. What makes you think you can manage the money that you borrow when you haven’t been able to manage the money that you’ve earned? Understand that and you will not have to dig yourself out of a financial catastrophe. Here are the facts when you’re in trouble. • Borrowing money is generally a result of not making enough money or making poor financial decisions. Many people expect the company to do more than cash flow will allow. • Learn to meet current financial commitments without borrowing money. There’s no way to pay back a loan when you’re not current with anything else. • Borrowing to support a lack of cash doesn’t solve the problem; it puts a Band-Aid on it. Instead, you make the overall financial picture heavier while enjoying a false sense of accomplishment. 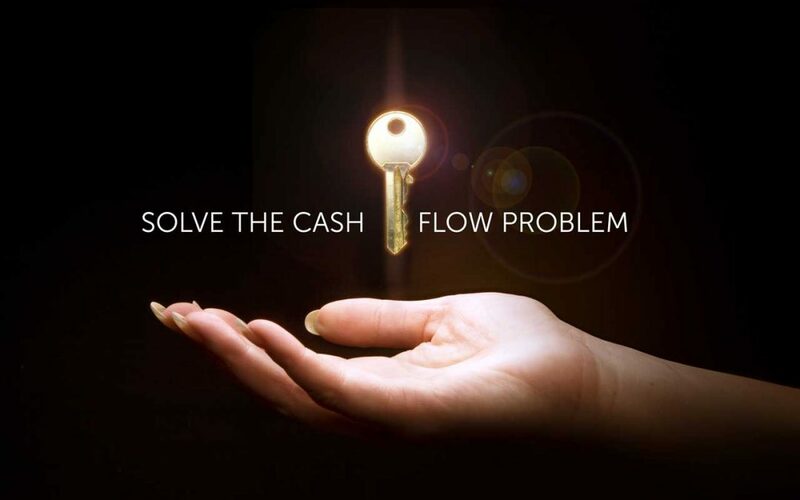 SOLVE THE CASH FLOW PROBLEM. Many cash-advance company start-ups have grown out of the need for small businesses to meet emergency cash needs. Paybacks are expensive and come in the form of automatic withdrawals to your bank or merchant accounts. Furthermore, because small businesses are technically taking cash advances against future sales, they are not subject to the same regulatory oversight as traditional lenders. There are some cases when meeting cash needs in this fashion warrant the higher interest rates. Make sure your scenario is one of them and there is a plan for payback before getting buried in interest and fees. You only make matters worse when you take on personal liability to solve business problems. A well-run business should be set up to solve its own problems. Instead, many an entrepreneur will draw from their personal credit to meet their business cash needs. You may choose to personally guarantee a business loan, draw from credit cards or mortgage your own home. When using your personal credit in any transaction, you will be obligated to pay the debt even if the business no longer exists. It gets worse when you borrow from your home because it is a protected asset. It results in trading an unsecured debt for a secured debt and giving up your homeowner protections. Most people don’t feel the depth of that error until they must move from their homes. I’m certain that I don’t have to tell you how much pressure unmet expectations can be with a friend or family member. In fact, I’ve witnessed it destroy what both parties considered an impenetrable relationship. If you insist on borrowing from those close to you, be certain that terms are outlined. The last thing you need is your new personal lender to decide they now have decision-making power in your business. Generally, the rule of thumb is to learn how to run your business without using credit to solve your problems! 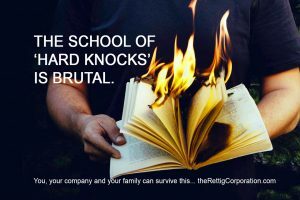 The answer to all of this is to master the art of cash flow management, which is a learned expertise and must be managed religiously to work. With cash flow management skills in place, you can plan when the business can afford to make purchases while staying up-to-date with day-to-day financial affairs. If you ever hoped to save money, or create a retirement, it is imperative that someone teach you the basic skills of “staying inside the box”.